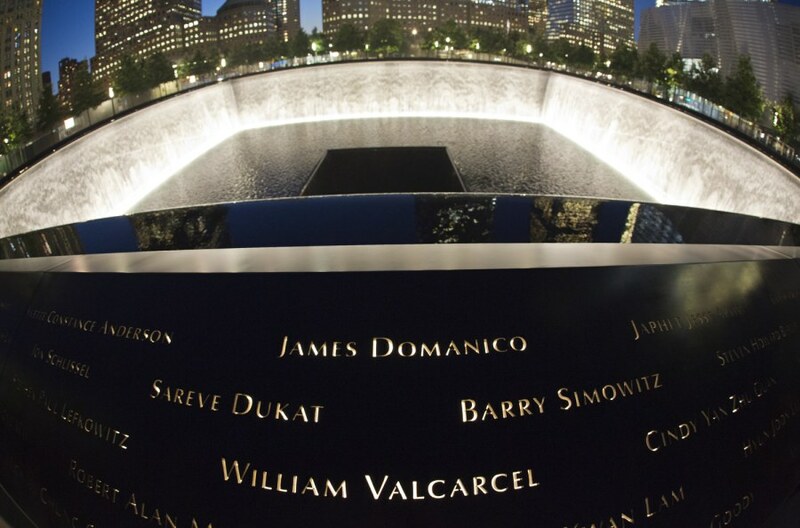 The names displayed at the memorial are grouped by attack at The National September 11 Memorial in New York. 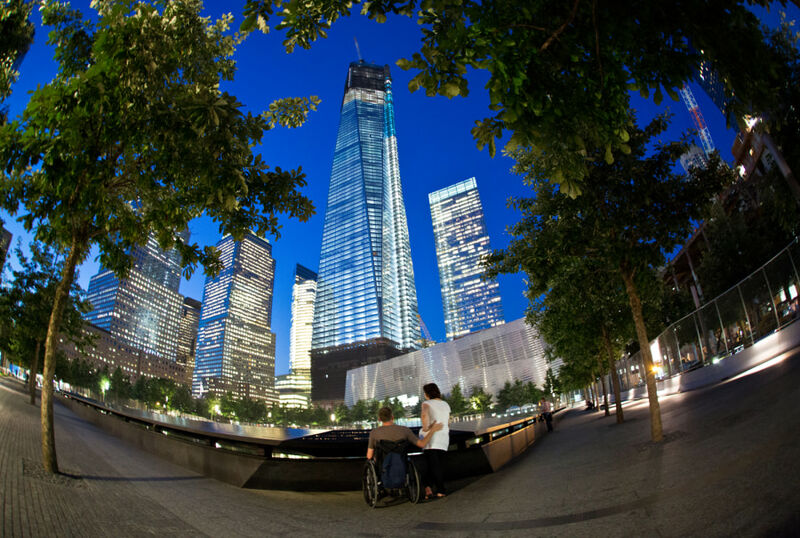 By John Makely / NBC News - As night falls, the National September 11 Memorial takes on a whole different feeling. Crowds become sparse, construction ceases and the traffic of lower Manhattan seems to fade away. You are left with the sounds of cascading water and the rustling of trees. 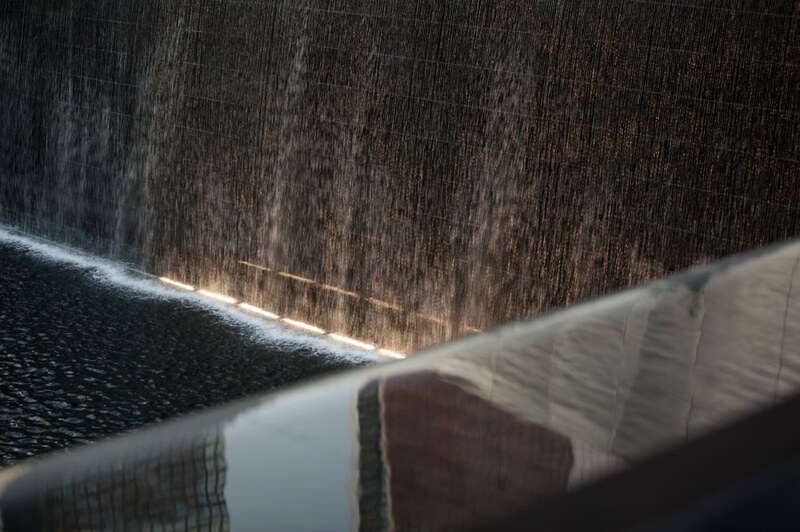 There is no better place to reflect on what happened on September 11, 2001, and the lives that were lost. A couple pauses for a moment near the the south reflecting pool at the National September 11 Memorial in New York. In the evening the names of those who died in the attacks are illuminated. Water cascades into the south reflecting pool. 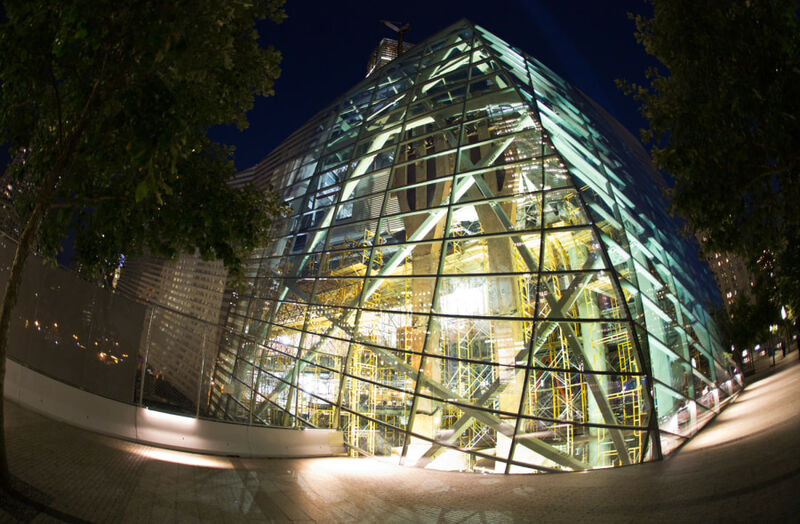 The tridents, two relics of the destroyed towers, are seen through the glass enclosure that will be the entrance to the National September 11 Museum once it opens. 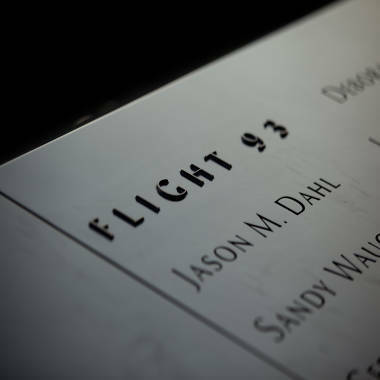 Follow this link for information about tickets to the Memorial.